Today’s post is sponsored by Fitfluential LLC on behalf of Grain Brain. I decided to take on this interesting challenge because even though I am really making some fun progress with my running, my eating has gone off the rails over the summer. I can not only see it in my waistline (hello muffin top!) but also in how sluggish I feel. So for the next four weeks, I will be taking the Grain Brain challenge and at the end of it all, I will report back to you! 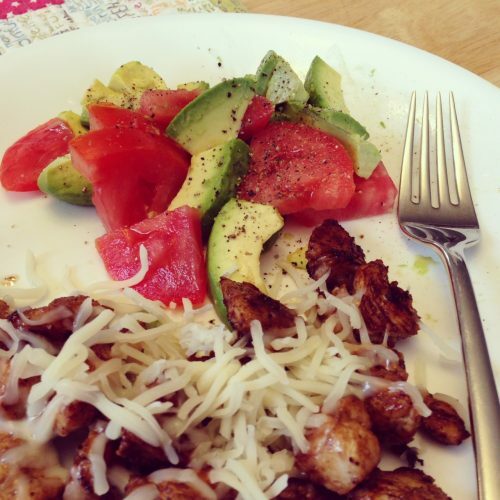 I have struggled to keep balance in my eating habits for most of my adult life. Eating comes very naturally. Eating well, does not. I love food. I love trying food. I have my favorites and I enjoy trying things I have never before experienced. I embrace every calorie with open arms. My weight has gone up and it’s gone down. But the one thing that I have always wanted is to be healthy. I don’t like diets. I’ve done them, sure. But my goal has always been to learn self-discipline and healthy habits that I can continue for life. 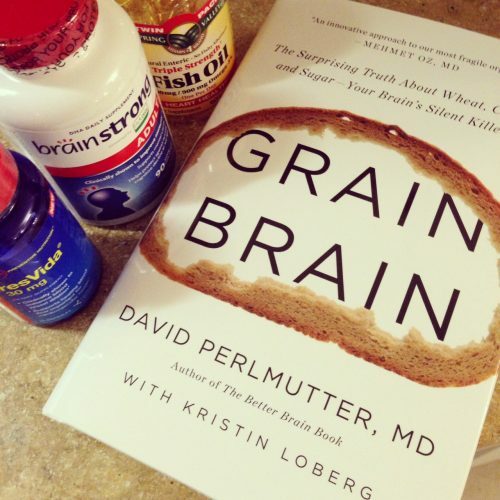 The thing that drew me to the book Grain Brain by Dr. David Perlmutter is the focus on how the overuse of gluten and high amounts of carbs are actually affecting brain health. I have always had success when cutting carbs, but I haven’t been able to sustain it for long periods of time. I don’t do well with the word never. The book is a bit technically heavy for me, but I was fascinated by his findings. It’s pretty commonly accepted that what we eat matters, but I always limited this fact to my weight. The eating plan includes fatty foods and carbs from fruits and vegetables rather than grains. He also incorporates eggs, poultry and fish into many recipes so if you have tried other low-carb diets, you know the drill. Of course, you do add certain things back in eventually, like brown rice. Finally, the Grain Brain challenge isn’t just about eating. The 4-week challenge I am embarking on includes several other steps. Week 1: Focus on Food – start eating healthy and taking vitamin supplements such as Vitamin D, DHA, fish oil and resVida. Week 3: Focus on sleep – this one is always hard. Setting the stage for great sleep is key. I’ll be honest, this is all pretty basic “nutritionally sound” advice for me. The trick will be sticking with it once I get started. I am a little bit encouraged this time though, because like my decision to start running, this is not about weight loss. I truly want to be a healthy person and that means learning what healthy looks like. I have never tried cutting gluten out of my diet, but the more I read about the effects it has the more I think it’s worth a try. Learn more about a gluten-free life from Living Gluten-Free For Dummies . Have you ever heard of the Grain Brain challenge? Would you do it? Want more? I’ve written about other aspects of fitness in my life.